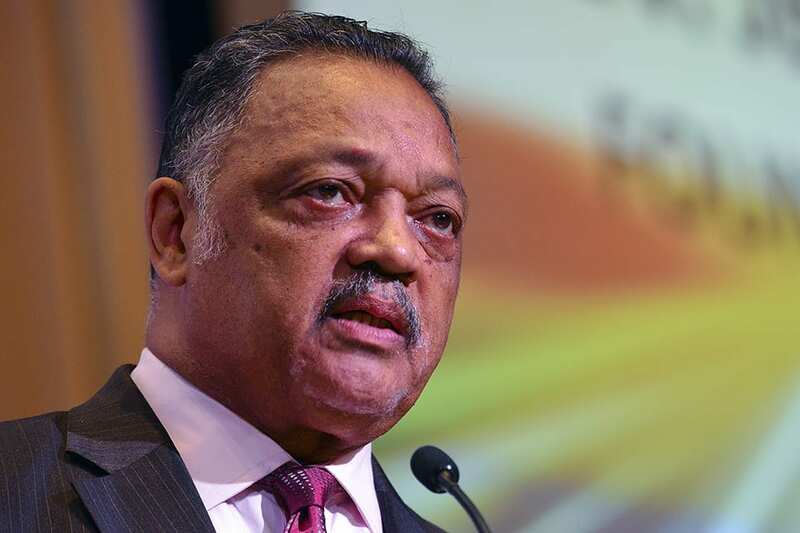 Reverend Jesse Jackson’s Parkinson’s disease diagnosis caught many by surprise, but those who know him said they’re confident that he’ll overcome the life-threatening challenge before him. On Friday, November 17, Jackson, 76, issued a statement informing the world of his illness. In the statement, Jackson recalled his foray into activism, being arrested on July 17, 1960 with seven other college students who advocated for the right to use a public library in his hometown of Greenville, S.C. He said that he remembers the arrest as if it happened yesterday and it was a day that forever changed his life. “From that experience, I lost my fear of being jailed for a righteous cause. I went on to meet Dr. King and dedicate my heart and soul to the fight for justice, equality, and equal access,” said Jackson, whose multiracial National Rainbow Coalition grew out of his work in the 1984 presidential campaign. He said he resisted interrupting his work to visit a doctor, but his daily physical struggles intensified and he could no longer ignore his symptoms. “After a battery of tests, my physicians identified the issue as Parkinson’s disease, a disease that bested my father,” Jackson said. Rev. Al Sharpton issued a statement saying that he spent time with Jackson and his family in New York, as Jackson made the announcement of his illness. Maynard Eaton, a journalist and national director of communications for the Southern Christian Leadership Conference, called Jackson a legendary and fearless civil rights champion. He said the disease may slow Jackson, but won’t stop him. Even though Parkinson’s disease is a chronic neurological condition, it is very treatable, said Dr. Nabila Dahodwala, an associate professor of neurology at the Perelman School of Medicine at the University of Pennsylvania. “A diagnosis of Parkinson’s disease does not necessarily mean that you must make drastic changes, but every individual is different in how they are affected, how they respond to treatment and how they choose to spend their time,” Dahodwala said. Ihtsham ul Haq, an expert in neurology at the Wake Forest School of Medicine, said he believes Jackson will do well. Leslie A. Chambers, the president and CEO of the American Parkinson Disease Association, said making appropriate lifestyle changes and focusing on physical therapy will go a very long way to helping Jackson live the best life possible, in spite of the disease. “Since its a lifelong chronic illness, the American Parkinson Disease Association encourages people with Parkinson’s to seek out a top notch medical and healthcare team, which includes a movement disorders specialist physician and allied healthcare providers and protect and defend their overall health status with a nutritious diet, physical therapy and safe, effective daily exercise programs, as well as emotional and social support from family, and professional care partners-givers,” Chambers said, adding that the association extends heartfelt wishes to Jackson. Dorothy Leavell, the chairman of the NNPA and the publisher of the Crusader Newspaper Group said that even though Jackson is in for the fight of his life, she warned that Parkinson’s disease had met its match.